You can’t get away from the fact that all investing involves a degree of risk. The value of your investments can go down as well as up and you may get less back than you invested. In some cases, you could even lose your entire stake. Risk is often confused with volatility, but they are in fact two different things. Equities in particular are subject to periods of volatility which can be very extreme. High volatility might keep you awake at night but it shouldn’t be mistaken for risk. An example of a major risk is not having enough money to last your lifespan, or to fund a specific goal. A common type of investment risk is concentration risk — the risk that your portfolio is too concentrated. There’s also credit risk — the danger that a corporation, or even a government, will default on a bond. Then there’s liquidity risk — the possibility that you aren’t able to realise cash from your investment when you need to; this can be a real concern for those who invest directly in property. A risk that many investors fail to pay sufficient attention to is inflation risk, or the extent to which inflation will erode the real value of your investments and, hence, your future spending power. So, for instance, not investing enough is a risk — and so is having an investment strategy that is too cautious. Yes, that’s right, not taking enough risk is itself a risk. Some risks are more avoidable than others. For example, you can avoid concentration risk by having a diversified portfolio. But one type of risk that you can’t diversify away is market risk, also called “systematic risk”. 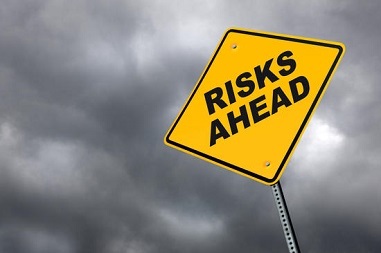 Market risk is the possibility that you’ll experience losses as a result of factors that affect the overall performance of the financial markets. Examples would be a major natural disaster, a terrorist attack or an unexpected rise in interest rates. Economic recessions can have a very detrimental effect on share prices. There is, however, a flip side to market risk that is much more positive. In general, markets reward investors for the risk they take. 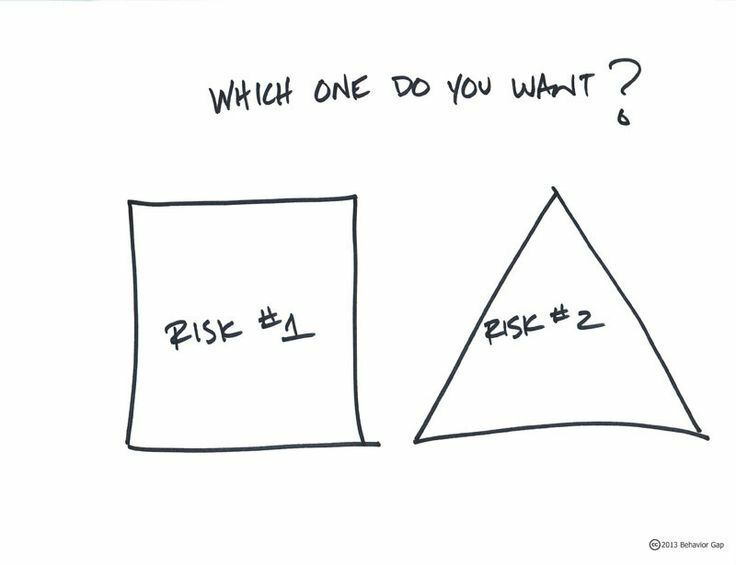 The more risk you take, the greater the potential reward you can expect in the long term. Remember, taking more risk doesn’t guarantee higher returns; that’s the nature of risk. But if you stay invested and are able to resist the temptation to dip in and out of the market, you should eventually be rewarded for the additional risk you take. That said, you must not underestimate how hard it is to stay invested when the markets take fright. Every few years investors should expect equity markets, for instance, to fall 20, 30, 40%, or even more. Market crashes like the one we saw in 2008-9 can test the resolve of even the calmest investor, and the more risk you’ve taken the more you will have at stake. In those circumstances, many investors capitulate, effectively crystallising losses and sabotaging their own returns. Capitulation risk is one of the biggest risks of all. That’s why it’s so important for investors to think very carefully about their need, their willingness and their ability to take risk from the outset. In many cases they will need to compromise. For example, you may feel that you’re fairly comfortable with the idea of taking a risk with your savings; but if, say, you’re due to retire within ten years, or if you’re worried about losing your job, you may have to be more cautious than you otherwise would. Working out the level of risk that’s appropriate for you is a crucial role of a financial adviser. A good financial adviser whom you know and trust will also help you to stay the course when you’re tempted to capitulate. One final word of caution about the connection between risk and reward. Don’t forget, you can only expect reward in return for taking risk. Because we’re human, we sometimes like to fool ourselves that we can have the best of both worlds; in other words, higher returns and less risk. The investing industry knows this and will often make out that if only we buy this or that product, we can indeed have both. The way to offset your risk is through diversification, and holding safer asset classes such as cash and bonds alongside riskier equities.